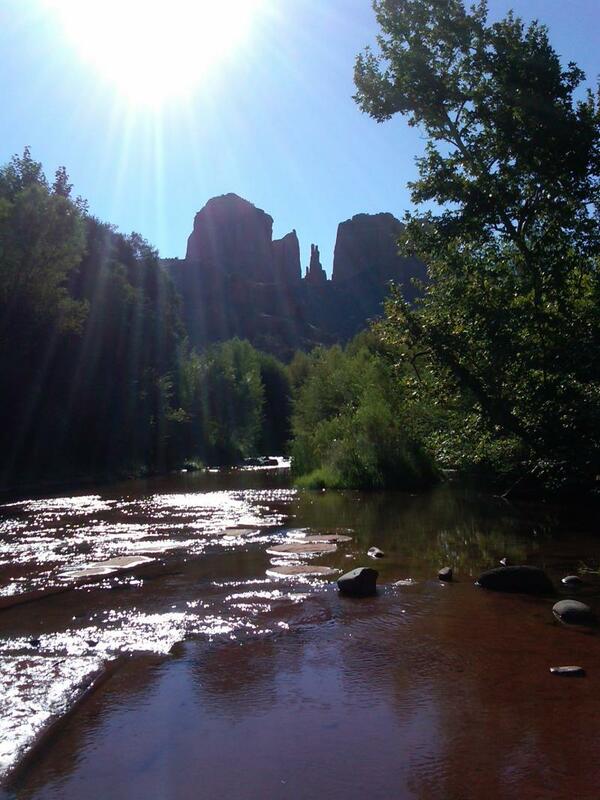 Sedona Reiki and Readings - Miracles! "I can't thank you enough for your reading. Not only was I able to have a heart-to heart talk with my boss and "save" my job but I also experienced a time of enormous personal insight and growth after your reading. You are a very wise and intuitive person and I thank you so much for sharing your wisdom and advice!" This page is reserved for the most miraculous results. These are times when Divine Intervention works through my hands to facilitate a miracle. I am eternally grateful for these miraculous events that have touched the lives of my clients. "I came to you in January, 2014 after being diagnosed with Stage III cancer. After surgery, a subsequent CT scan on December 13, 2013 showed an additional turmor..... My four sessions with you were simply amazing......On February 7, 2014 I received my CT scan result: "no evidence of mestastic disease" the tumor had disappeared. I am forever grateful to you two love birds." "I lost my eyesight due to diabetic retinopothy. I am so grateful that I called you while on my way to the eye specialist. You immediately sat down and did a distance healing on me. Thirty minutes later, walking into the eye specialists office, with my diagnostic photo's in hand, I was healed and my eyesight was restored. I am forever grateful to you." "I was a runner all my life. Bone on bone prevented me from any more of running which not only kept me in shape but fed me on a deep spritiual level. After 6 treatments with you, I am back to running. Thank you so much!" This website is for educational purposes only. I do not diagnose, prescribe or change any traditional medical program that you currently follow. Copyright 2013 Sedona Reiki And Readings. All rights reserved.